Hoda Kemp is the president of Leading Edge Training Company in St. Paul, Minnesota. She is a subject matter expert in the areas of leadership training, strategic planning, technology training, team building, curriculum development, and diversity. She has researched and lectured on various aspects of the Bahá’í Faith in diverse venues around the globe. 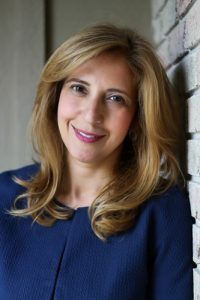 She is currently serving as the vice chair of the Regional Baha’i Council of the Great Lakes States, along with serving on other institutions, committees, advisory roles and as the chair of a non-profit board. Her interest in marriage and families has allowed her to discuss these issues on various platforms. Hoda has been facilitating marriage courses at various permanent and seasonal schools and communities in United States for over fifteen years. Through her efforts a related preparing for marriage course has been approved by the state for a Minnesota marriage license discount. Hoda has a degree in Training and Organizational Development from the University of Minnesota, and has completed graduate level course work at the University of St. Thomas executive program.